The Oasis (11th and Folsom) will present the drag version of ‘The Facts of Life’ in several weeks. I can’t get over how much my friend Tamale Ringwald looks like Natalie. 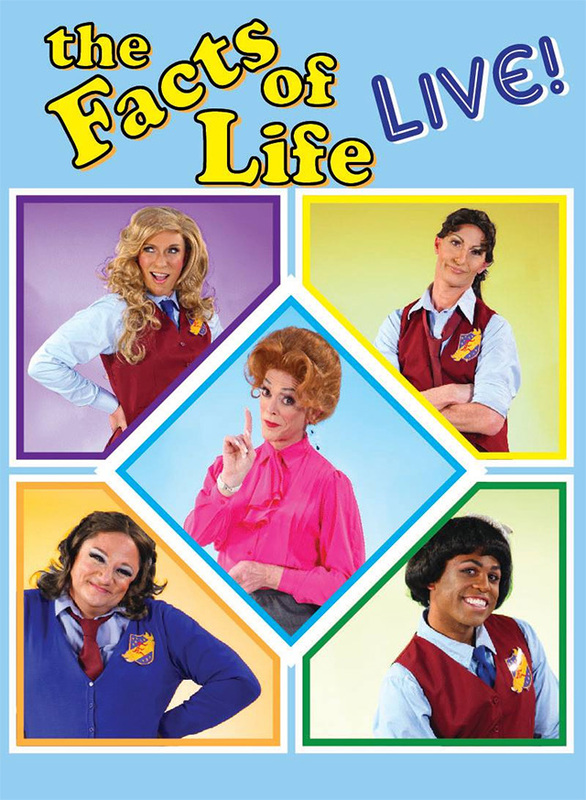 Because SF’s drag queens have not yet run out of old TV shows to reenact, in drag, D’Arcy Drollinger and a cast of friends bring you The Facts of Life, premiering April 23 at Oasis. The show stars D’Arcy as Blair Warner, Tamale Ringwald as Natalie (a striking resemblance, no!? ), Daft-nee Gesuntheit as Jo, and James Arthur M. as Tootie. And D’Arcy directs. Tickets, which are available here, start at $25 for general admission (cabaret seating), and $30 for premium seats. Also, there’s the Edna’s Champagne Table option, with VIP treatment for $200. The show continues Thursday through Saturday nights at 7 p.m. through May 16. I will definitely check this out. More to come. Tags: drag queens, featured. Bookmark the permalink. Previous post ← Watch: Frank Poncherello’s Disco Dance Extravaganza!